Looking for a date tomorrow? We’re gearing up for the semester with a date with us! Don’t be late! It’s tomorrow at 4pm in Keating 104 – see you there. 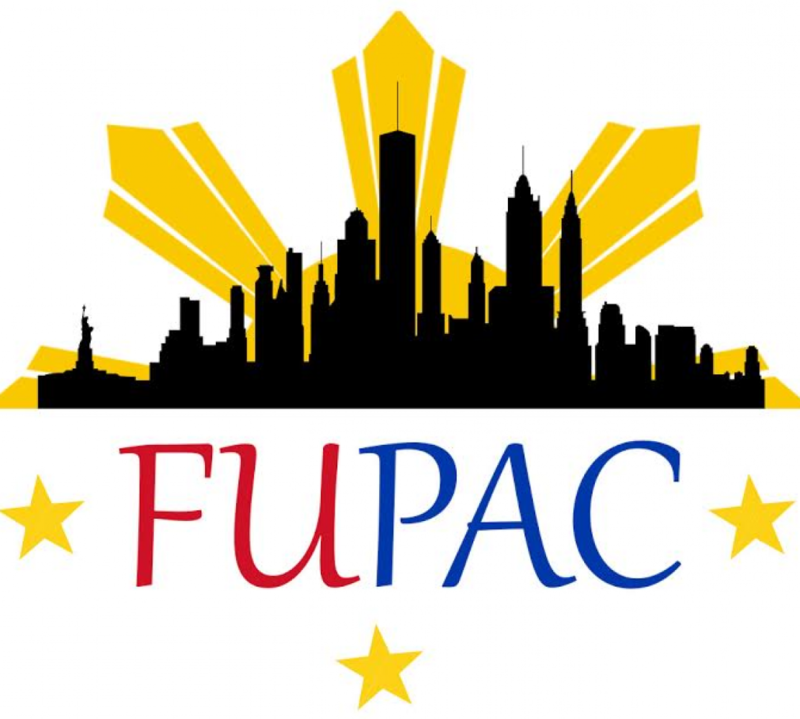 Head to the Pilipino-American Literary Festival! Hope your summers have been going swimmingly. 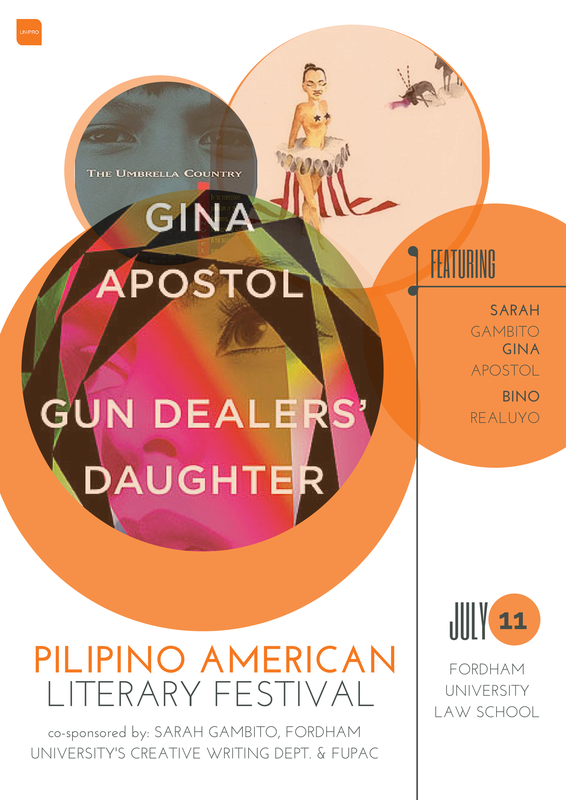 We would like to let you know of an awesome event that we’re co-sponsoring on Saturday, July 11th at 1pm at Fordham Law School in Lincoln Center: The Pilipino-American Literary Festival! You’ll get to hear from Fil-Am writers as well as get to take part in a creative writing workshop with them. Check the Facebook event for more details! If you would like to volunteer at this special event, please let us know no later than Thursday, July 9th at 5pm. It’s what you’ve all been waiting for, Modern Pamilya! It’s this Sunday, April 19th at 2pm. We will be selling tickets all throughout this week in McGinley so be sure to get ’em! Tickets are $5 and includes a Filipino lunch. It’s gonna be a great show, you won’t want to miss it! Need more of a reason to come? Check our our behind-the-scenes video! It’s time for our annual barrio showcase! This year, our title is Modern Pamilya. We’ve got a great show lined up for you, so stay tuned to our website for a behind-the-scenes look at our showcase. Save the Date: Alumni Networking Event this Saturday! I hope you have all been having a wonderful semester so far. In the next few days, I’ll be posting a recap post of what we have done this past month so be on the lookout for that! Also, as a reminder, we will be hosting our first-ever Alumni Networking Event this Saturday, February 21, from 12:00-4:00 pm. It will be held in the Campbell Multipurpose Room, located right next to Cosi. Some of our former FUPAC members will be leading educational workshops that will be useful as you all prepare to apply for internships and jobs! To learn more about our upcoming event, be sure to come to our meeting this Wednesday at 4 pm in Keating 104 to receive more information. We hope to see you all this week! Don’t hesitate to contact us via Facebook, Twitter, or email, if you have any questions. Now that 2015 is upon us, we’re gearing up for the New Year and we can’t wait for it! Be on the lookout for our Twitter & Facebook group for more information. I hope finals didn’t wear you down too much, and that you are all now enjoying this break with loved ones! Check out below for a recap of Simbang Gabi, which was held earlier this month.